Nimbus Boats has joined the electric boats revolution, with the Swedish yard launching the 305 Coupe E-Power at Boot Düsseldorf last month. The new arrival is fitted with an 80hp Torqeedo Deep Blue i1800 electric motor, which is powered by a pair of 12.8kw batteries. The top speed of 8.5 knots is not going to set any records, but should fit in nicely on the European inland waterways that it was designed for. 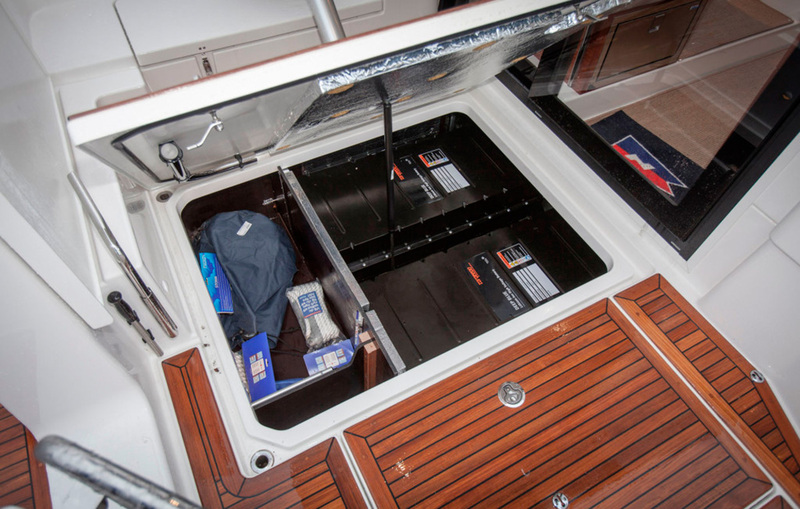 Charging takes eight hours on 230V (or 4 hours on 380V) and gives you a maximum cruising range of 37nm at 3.5 knots. For those who want to go further, two additional batteries can be added to increase the range by around 90%. Jan Erik Lindström, managing director of Nimbus Boats, said: “We have worked pro-actively on environmental aspects in all parts of our operation at Nimbus for a long time. Nimbus Boats adds that it will also be offering its upcoming 305 Drophead day cruiser in the new E-Power format.